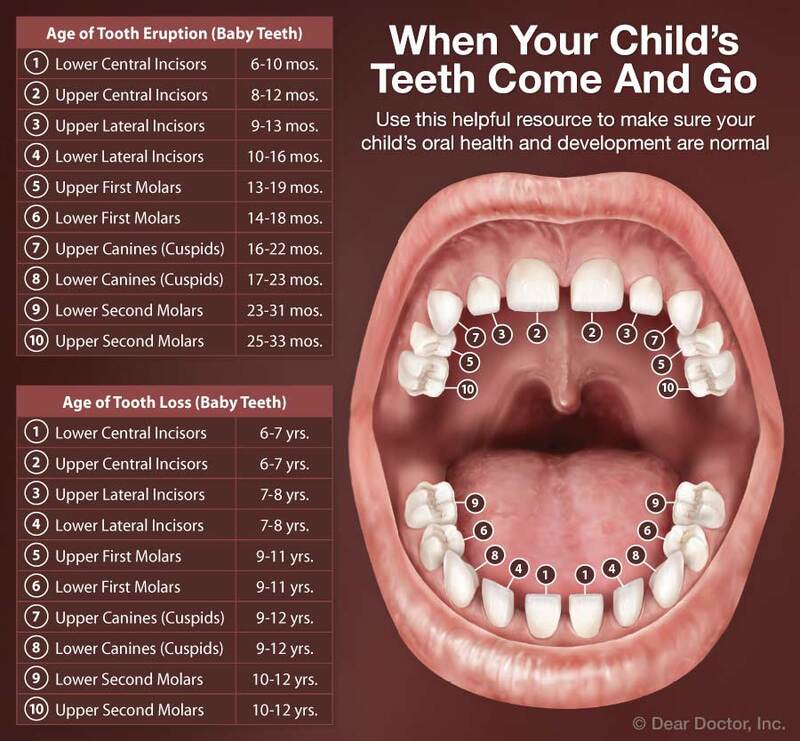 Your child's 20 baby teeth will begin to appear usually between six and nine months, though in some cases it may start as early as three months or as late as twelve months. The two lower front teeth tend to erupt first, followed by the two upper ones. The first molars come in next, followed by the canines (eyeteeth). Sometimes your baby can experience teething discomfort during this process. Topical Fluoride — Fluoride incorporates into the enamel of teeth, making it harder and more resistant to decay. Although there is a small amount of fluoride in toothpastes, there is not fluoride in our water so we can apply a higher concentration onto your child's teeth for maximum protection (Watch Preventing Cavities in Kids Video). Root Canal Treatment —Perhaps you have had a root canal treatment yourself, to save an injured or severely decayed tooth. Well, sometimes children need root canals, too. 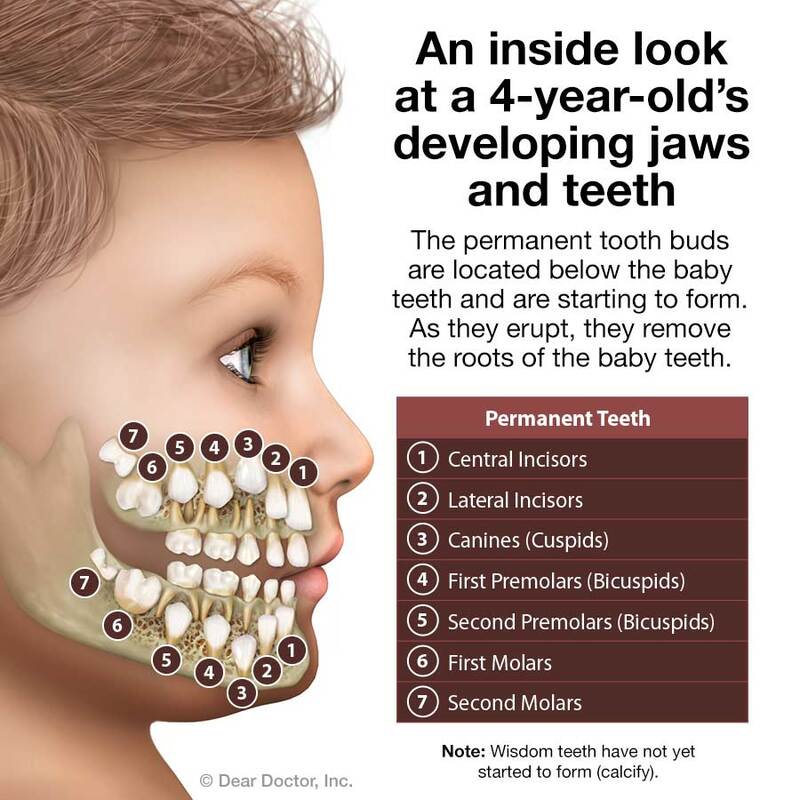 As mentioned above, baby teeth are important guides to the permanent teeth that are already forming beneath your child's gums. Therefore, saving them from premature loss can help prevent a malocclusion (“mal” – bad; “occlusion” – bite) that requires orthodontic treatment.